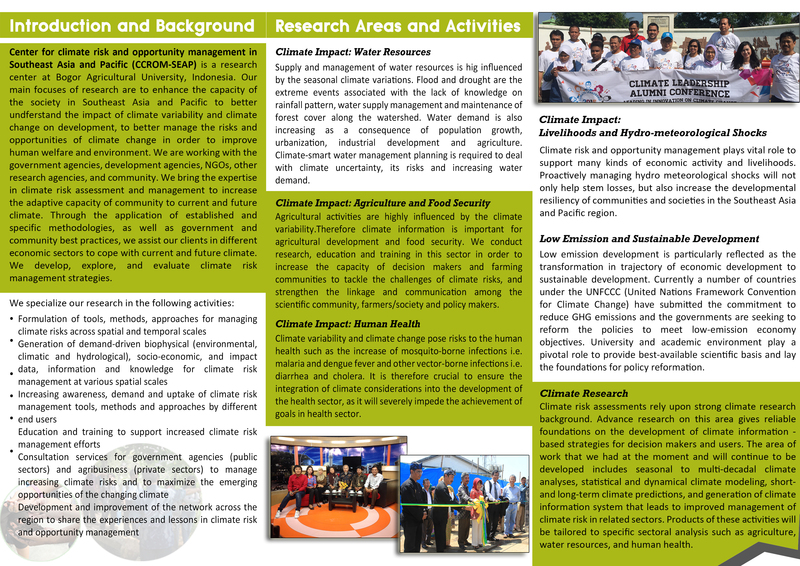 CCROM’s climate risk management activities rely upon strong climate research background. Advance research on this area gives reliable foundations on the development of climate information-based strategies for decision makers and users. The area of work that we had at the moment and will continue to be developed includes seasonal to multidecadal climate analyses, statistical and dynamical climate modeling, short- and long-term climate predictions, and generation of climate information system that leads to improved management of climate risk in related sectors. Products of these activities will be tailored to specific sectoral analysis such as agriculture, water resources, and human health. © Copyright 2017 CCROM SEAP. All Right Reserved. 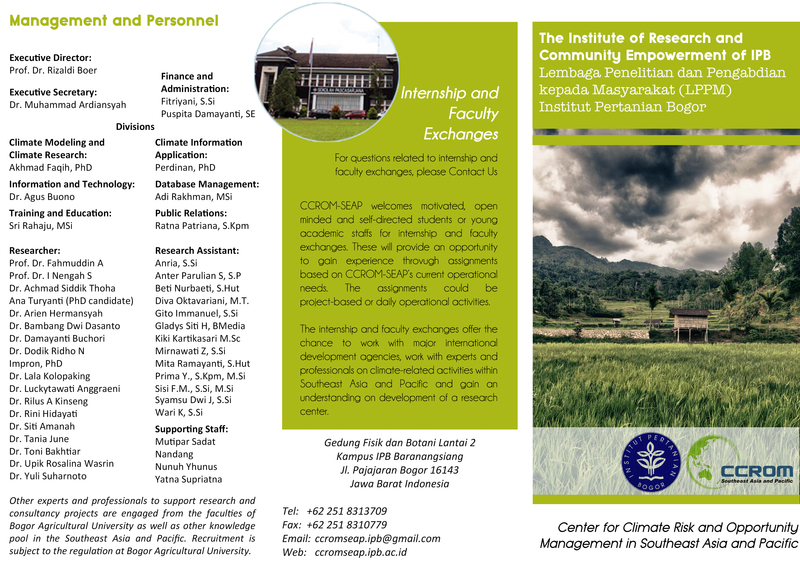 Center for Climate Risk and Opportunity Management in Southeast Asia Pacific.